On the persistence of thought contained in a wall of books and the circles they can draw in our minds. TrumpTrumpTrump by Ryan D. Beckwith is licensed under a Creative Commons Attribution-NonCommercial 4.0 International License. Designing this has been a long journey - sparked by my deep interest in a family history that spans centuries, and yet was unknown through my childhood. The Beckwith's were landowners and martial lords from Yorkshire (via the Norman invasion of C.E. 1066) and emigrants to Connecticut in C.E. 1635. Their exploits and conquests earned them hereditary arms which have been recorded since the 12th century. I wanted to create an image to use in my personal and business life that reflects both the history of the men bearing my surname and my own aesthetic values. Rather than simply display my full heraldic achievement, I decided to create an icon that visually rhymes with the standard born by my ancestors, yet means not just "Beckwith" but "Ryan D. Beckwith". The effort took me deep into my family history, and into an exploration of technique and picture making that challenged my habits and assumptions about what kind of "art" I make. Psyched for the Round of 16! 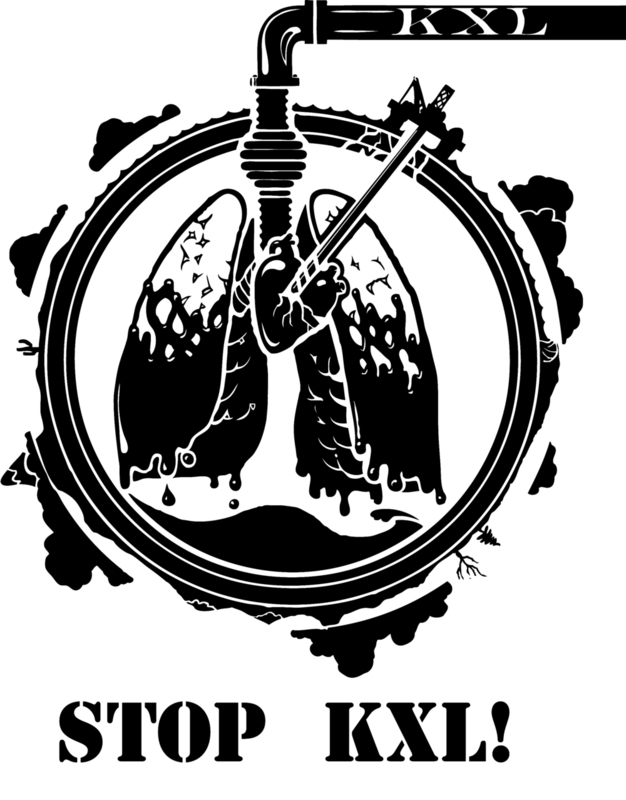 "Stop KXL" by Ryan D. Beckwith is licensed under a Creative Commons Attribution-NonCommercial-ShareAlike 3.0 Unported License.